Canadians enjoy the 2nd fastest 4G/LTE networks in the world and this is helping to drive the smartphone m-Commerce. In 2015 business mobile data grew by 39% and consumer at 49% from the previous year. They are both predicted grow by a compound rate of 40% over the next 5 years. This means that golf retailers looking to maximise upon the rise of online purchasing and golf clubs that are looking to recruit and retain the younger generation, without alienating their older existing members, need not fear/hold back because Smartphones have become the hub of our daily lives and are now in the pockets of over two thirds of adults (94% of 18-34 year olds and 58% of 35-65+). In a report published by PayPal, the era of mobile browsers is over; Smartphone shoppers prefer apps to browsers, with 55% of smartphone shoppers finalizing a purchase using an app, and 52% via a mobile Web browser. This growth presents opportunities for Canadian retailers, as spending on mobile commerce had already reached CAD $3.45 billion back in 2013, a number which is predicted to grow by 142% by the end of 2016. From a global perspective, you can see from the graph of “Worldwide Mobile App Revenue”; the economists are predicting over a doubling of app revenues from 2015 (41.1bil) to 2020 (101.1bil) making apps powerful sales and marketing tools that the golf industry cannot afford to ignore. Many of the savvy business have already built mobile responsive websites; which is an excellent start because without one Google will penalise you in the searches; and research has also shown a very high percentage of smartphone users will not return back to your site if it is not mobile friendly. However, as you can see from the mobile app revenue statistics, having a mobile responsive website is the very minimum requirement. If you are not offering an app for your retail business or golf club, you are missing out on a very rapidly rising revenue stream. I have lost count how many times I have heard “but I have a mobile website, I don’t need an app”, often comes down to the speaker not understanding the difference in the roles that app play and what they mean to their target market. And this is very crucial because websites and apps are not interchangeable. Although there are areas where they overlap, they have very different functions and used together they make a very powerful business tool. For the golf industry, apps are split into two different sections, retail and club, with the overlapping themes throughout of customer awareness, interaction and m-Commerce. Because apps can be used for so many things, the biggest decision is to work out what your primary and secondary aims are for your app. It has to be a win-win for both you and your targeted audience. For the golf retailer, app gives them 100% targeted audience - something that no other marketing route can do. All your members use phones. And the vast majority of them have smartphones upon which they use apps - frequently. Apps are one of the best tools to communicate, help and inform your members of what is happening at your club. 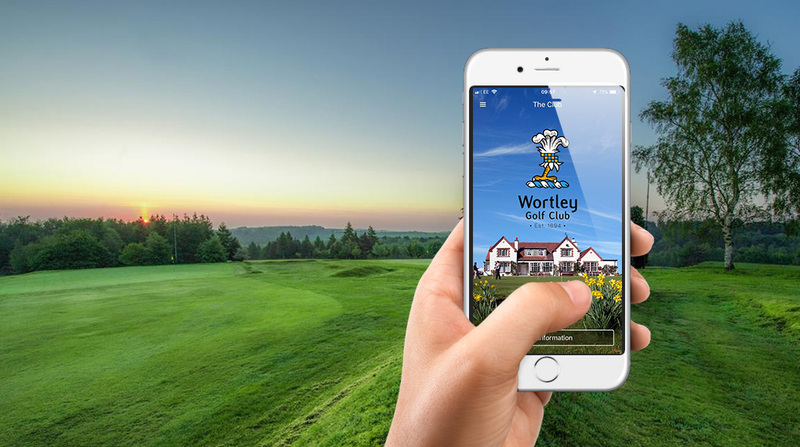 The smart golf club knows that with the right app they can captalise upon the ability to communicate and increase golfer retention and expenditure. Apps are great for reaching out and speaking to your audience and whether you are a fan of new technology or not, they are here to stay, used by many and are serious contenders in the business world. Isn’t it time your business looked at investing in these powerful business tools?